Adidas released alongside the World Cup in Rio de Janeiro 2014 a limited edition boot that became the first ever to have a 100% knitted upper. The boot is limited to 150 pairs in the world, and sold out in seconds. Still one of my best looking boots, as the upper is just amazing with the different colors of yarn. • The upper consists of 1938 meters of yarn. • Around 137 829 stiches were made. • The boot weights 165 grams. Luis Suarez played a game for Liverpool in these Samba Primeknits in 2014. Nike GS (Green Speed) Concept was released in 2012, were Neymar used the boots in the Olympics. Nike constructed the boot by using renewable and recycled materials. The main goal was to reduce weight and waste in every single component of the boot! They done that and also did they create the lightest boot weighting 160 grams back in 2012. The Nike Kanga-Lite upper produced over a third less carbon emissions when it is manufactured than traditional materials. 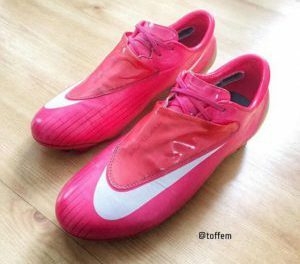 The laces, lining and tongue of these Nike GS Concept football boots were all made from a minimum of 70% recycled materials while the toeboard and collar feature at least 15% recycled materials. The boots and the box is indiviaually numbered. I own the pair numbered 1634 out of 2012. Nike wanted to create the lightest and fastest boot in history. Nike spent 3 years creating a boot with no financial- or time limitations. In 2008 Nike released the Nike Mercurial SL (Super Light), weighed 190 grams. The boot is almost entirely made of carbon fiber with a soleplate made of 7 layer carbon material, this to give strength and flexibility. Nike released the boot in FG-soleplate limited to 2008 pairs and in SG-soleplate limited to 500 pairs. Cristiano Ronaldo wore the boots in Champions League Final 2008 in Moscow against Chelsea FC. The game ended 1-1 in fulltime, C.Ronaldo scored Manchester United only goal. Manchester won on penalties 6-5 and making them the Champions of 2008. Regarded by many as the last proper Adidas Predator made. So what did Adidas change to make the PredatorPowerswerve so good? Let`s start with the fact that Steven Gerrard said that the Predator Powerswerve was his favorite ever in the Predator range, that says quite lot about the boot. 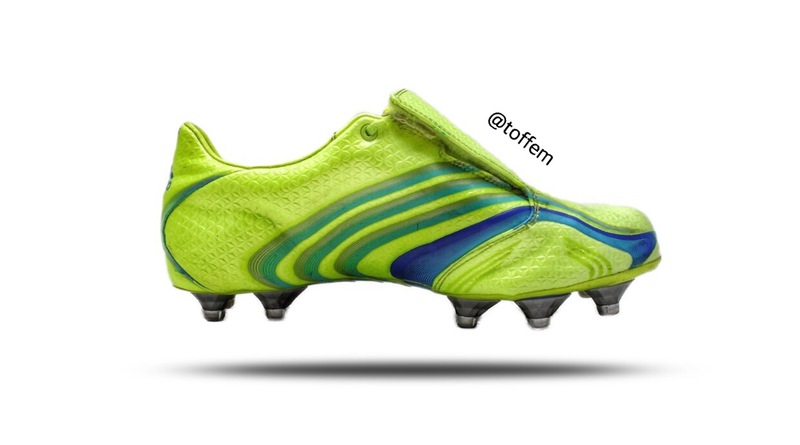 Adidas did also change the original rubber fins to “Predator SMART Foam” to give extra power and swerve. The soft foam reacts to the impact and kind of bounces back the effect straight to the ball. Adidas did also create a “Power Pulse” system in the innersoles, by adding a chamber to the innersole filled with 30g metallic powder. So when kicking the ball the powder shifts forward in the chamber which increases the power. Adidas proved this in tests and the boot was said to create 3% more force and 8% more swerve than the Predators before. This popular boot was released in 2008 and there were more than 20 different colors available. Biggest stars to wear these were Steven Gerrard, David Beckham, Michael Ballack and Daniele De Rossi. Lotto Zhero Gravity was back in 2006 a truly unique boot, Lotto designed a lightweight boot with no laces. The boot is beautifully designed, as you expect it to be for a company from Italy. To create a laceless boot Lotto had to spend some serious time on research and developing different concepts, for example what if the boot is too loose and you can’t tighten the boot? In this case you can´t! But Lotto did it and it´s working. So instead of laces Lotto uses a rubber compound on top of the foot and in the heel, so the rubber stretches just a bit to get the boots on and off the foot. I used a pair of these for a whole season back in 2006. The touch with these boots was incredible! And they were eye catching for sure. Only down side really was that after lot of usage they didn´t fit tight enough. If you buy a pair I my case I had to go half size down. Big thanks for reading and follow for more! In 2006 Puma really got back to the fight with Nike and Adidas. 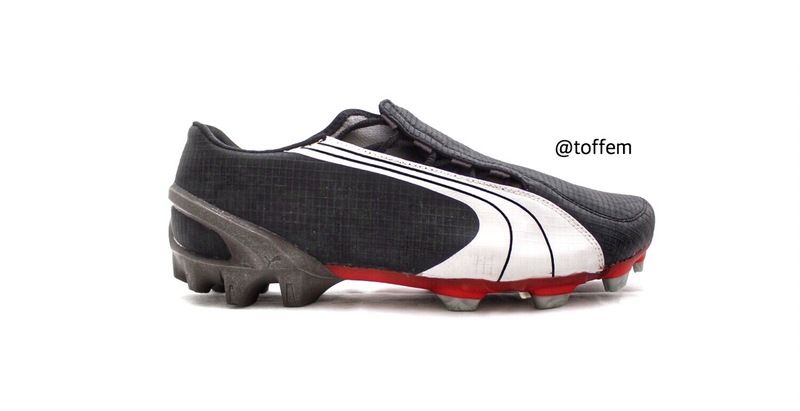 Puma presented the v1.06 which was the lightest boot Puma ever made. Some great players wore them such as Samuel Eto’o, Robert Pires, Alexander Hleb and Fredrik Ljungberg. upper material which made the boot light and gave close to bare foot feel. To increase the bare foot feel puma reshaped the front of the foot and used “Puma Lace Wrap System” to ensure a optimal fit. 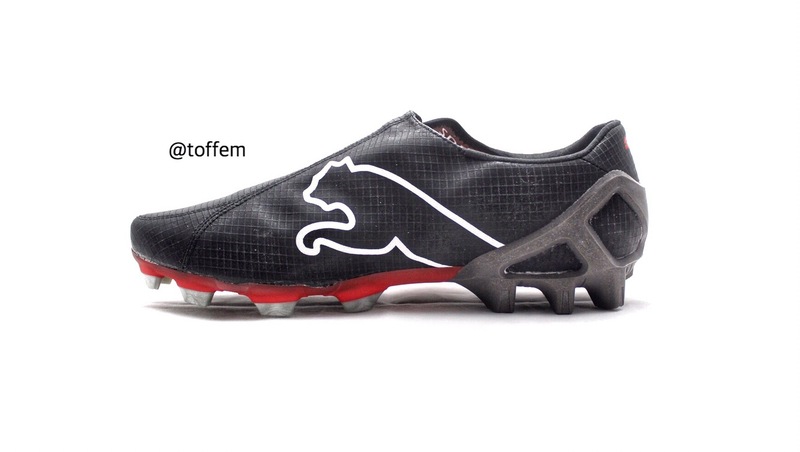 To reduce even more weight Puma used carbon fibre in the soleplate, which gave more flexibility and strength. Puma v1.06 had also a stud pattern that was different from the other brands, especially the studs in the heel was designed for speed. Thank you for reading! Will soon continue selling some boots so stay tuned! • Studs, there were three options: FG-studs, SG-studs and HG-studs. • Soleplate, you could change between lightweight or comfort. the world cup 2006 had also their own signature Uppers. The screw in studs held the different parts of the boot together. The boot was usually sold in a huge box including: Uppers, 3 sets of studs, 2 soleplates and a key to tighten the studs. The new upper of Adidas F50.6 Tunit was made of lightweight “adiHex” 3D micro-fibre upper that gave great touch and feel to the ball. Also Adidas kept the lace cover from the earlier F50 range. Only small downside was after heavy use the studs started to get loose and fall off. Thank you for reading and there is much more to come!